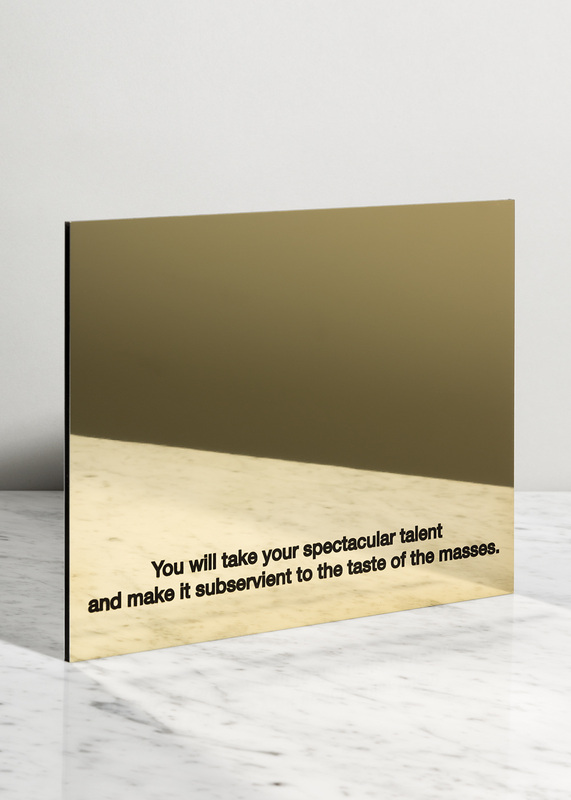 L’Âge d’Or, 2016, print on gold mirror Dibond, 16 x 20 cm. 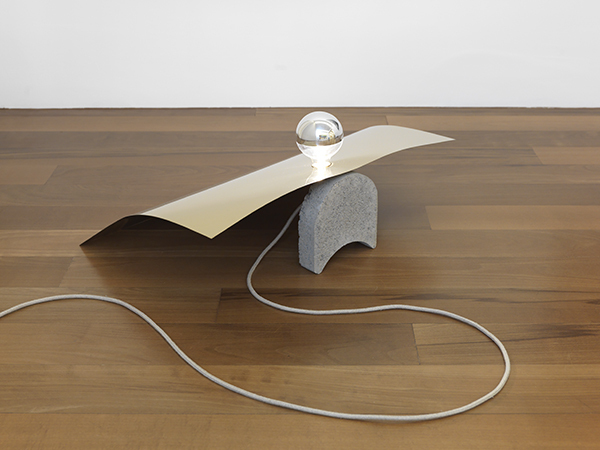 Edition of 35 numbered and signed made to the occasion of the publication of the artist’s 1st monograph Rapid Eye Movement, AHEAD Foundation publisher. 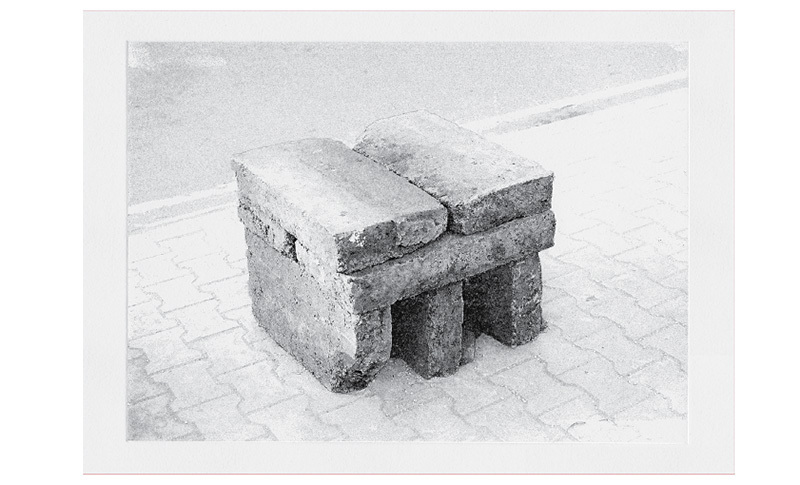 Table: Chandigarh, 2013, photogravure on copper plate, 31 x 40 cm printed on Rive BFK 300 paper, numbered and signed. Limited to 50 editions. 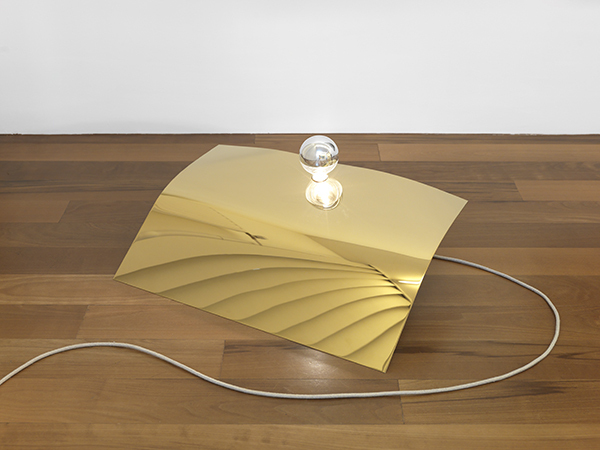 This project had been made possible by Le Temps, swiss daily newspaper. 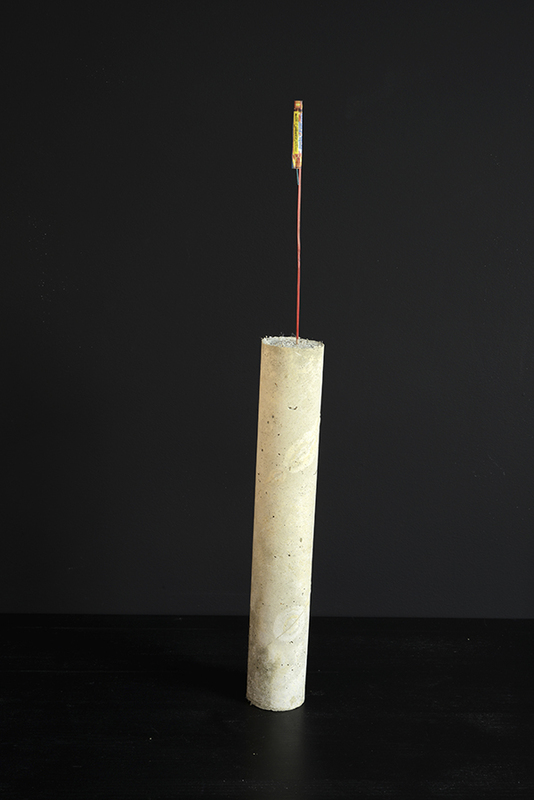 Bétonlaiton, 2015, concrete, brass, bulb, hemp cord and electric system, 20 x 50 x 70 cm. 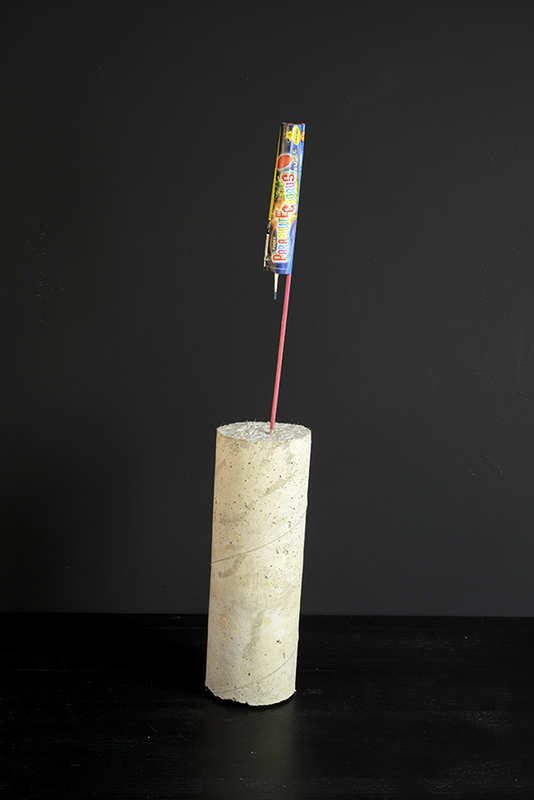 Trophée, 2013, concrete, firework rocket, variable dimension, unlimited edition. This artist edition has been made through the project L’Entrepreneur, organised by Laurent Kropf in Crystal Palace-Bordeaux. 15 artists provided instructions to the organiser who set up an artisanal studio, produced and showed the art works on location.